Facebook Open Graph has an impact on me! Watching the live F8 coverage, I had some vision about Facebook new Open Graph. I remember that part when FriendFeed CEO talked about his experience and the magic 5 (on average, a new user won't become active unless he/she find 5 friends using the same site). I thought at that moment: "Oh well, sound amazing. The Open Graph with all the new social plugins will be good". It's not really true. Today, when I visited a site. I was stunned seeing a few (Facebook) friends of mine did some activities on that site. OMG. It's a really strange feeling! I believe the Open Graph with all the new social plugins will be GREAT! The idea is just... brilliant. Except the issue about privacy: the Instant Personalization is opt-out (which means everybody has it turned on automatically, user must explicitly turn it off, more about opt-out). Many people complained about it and they are warning people to turn off in order to protect privacy but I think most of them will just leave it on because they don't read all those nerdy sites. And basically, most of 500 million people is... quite a lot! I'm having it on anyway, the personalize experiences are fun and useful, love it! 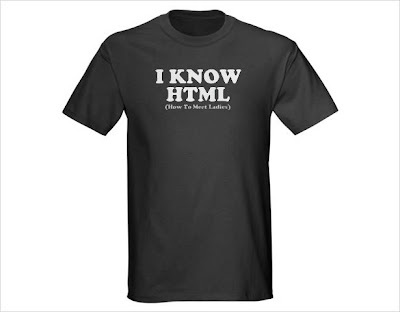 or <td>, you should place a &nbsp; inside to make the XHTML document validated. See the demonstration below: they both have 20 spaces between the emoticon and the period. Anyway, a bug has been filed but I think Vietnamese users will have to wait. Stay calm, everybody. OAuth with Google, Twitter and... Facebook! Just a few days ago, I ran into OAuth as I want to get my GMail feed based on Google Data API. I succeeded. With a little help of an OAuth open source (here, available in several programming languages). Then I remember that I once heard that Twitter also uses OAuth as an authentication option so I turned into Twitter and had a good read. Finally, I found out that they are basically the same (hehe, it's obvious since OAuth 1.0 is a worldwide standard). I had an idea of writing a universal class which can handle both Google and Twitter OAuth functionalities. It's not too hard. I took most of the idea from the PHP example (here, PHP only). I also made a small script which accepts URI to send and intercept response from Google & Twitter servers. I never wants to re-implement classical stuffs as it will be useless but this time, it's an assignment at the college so... here it is. Quick Sort implementation of mine which supports arrays and lists. Using the class's (static) methods is very simple. For those who don't know what the heck Quick Sort is, check it out here. Have a nice day! Ran into this from a note by mr Ha. Pretty interesting assignment and now I have finished completely. I'm so glad! vBulletin 4.0.3 has just been released with a new feature: Facebook Connect. Well, this thing kinda pissed me off the first time I read about it but it turned out to be not a big deal. The really near future plan is to make YAFB connected users vBulletin Core feature connected users. Well, I will see since I haven't had a version of 4.0.3 yet. Yay me. Reason why it is great to be a geek! You must have read many articles saying how bad a geek is in a relationship: He loves the computers more than everything. Nothing else matters once he gets stuck with a few (hundred?) lines of code. It's very high chance that he shows up in front of your home just in time for a dinner with your parent (with untidy clothes and messy hairstyle). And so on... Well, it sounds really scary, isn't it? Hell yeah, everything has advantages and disadvantages. If you want to take something, you have to accept both the positive and the negative things. The problem is you have to decide if it's worth to take the risk. Right? To me, it's so great to be a geek (or at least, I claim myself one). Why? Because Sylvie Truong has just posted a blog entry in her My Opera blog. It showed her interest in geeks, pretty much! That's more than enough for me. A really good reason, isn't it?